This multi-method qualitative study examines frontline provider perspectives on consumer social relationships and barriers to social recovery in supportive housing programs for adults with serious mental illness. Thematic analyses show that guest and occupancy policies that enforce the “single” nature of single-adult supportive housing challenge consumer rights to self-determination in the realm of social recovery. Findings also highlight the ways in which providers act to reinforce and subvert these policies while mitigating risk in this service setting. Recommendations for enhancing the recovery orientation of supportive housing and implications for the design of the homeless service system are discussed. This research was supported by a grant from the National Institute of Mental Health (NIMH F31MH100772), as well as a fellowship from the New York University Global Research Initiative. The author would like to acknowledge Drs. Deborah Padgett and Victoria Stanhope and the study team from the larger parent study (NIMH R01MH084903). The author reports no competing interests. Parsell, C. (2015). Surveillance in supportive housing: Intrusion or autonomy? Urban Studies, 0042098015613205. doi: 10.1177/0042098015613205. Stefancic, A. (2014). 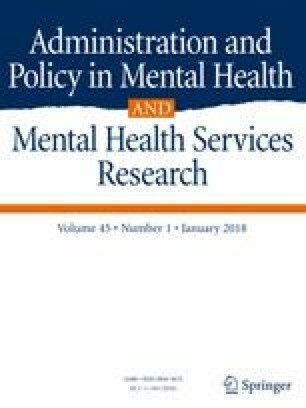 “If I stay by myself, I feel safer”: Dilemmas of social connectedness among persons with psychiatric disabilities in Housing First. Retrieved from Columbia University Academic Commons, doi: 10.7916/D83B5XSS. U.S. Department of Health and Human Services. (2004). National consensus statement on mental health recovery (Brochure). Rockville, MD: Substance Abuse and Mental Health Services Administration. Retrieved from http://store.samhsa.gov/shin/content/SMA05-4129/SMA05-4129.pdf. Accessed 2 Aug 2016.